The Blue Ridge Chapter is based in Boone, NC. Monthly meetings are held on the second Wednesday of each month at the Holiday Inn Express Boone, 1943 Blowing Rock Road, Boone, NC 28607, adjacent to the Lowe’s Home Improvement Store. We have a program at each meeting, which could entail either a formal talk or workshops or anything in between. Meetings are free and open to the public. Everyone is invited to attend and we look forward to sharing our love for the native plants of North Carolina. The meeting room will open at 6:30 PM with the meeting running from 7:00-9:00 PM. If you have ideas for programs or would like to present to our group of native plant enthusiasts, please contact us! We currently have several active projects for those interested in volunteering. Contact us if you would like to help! 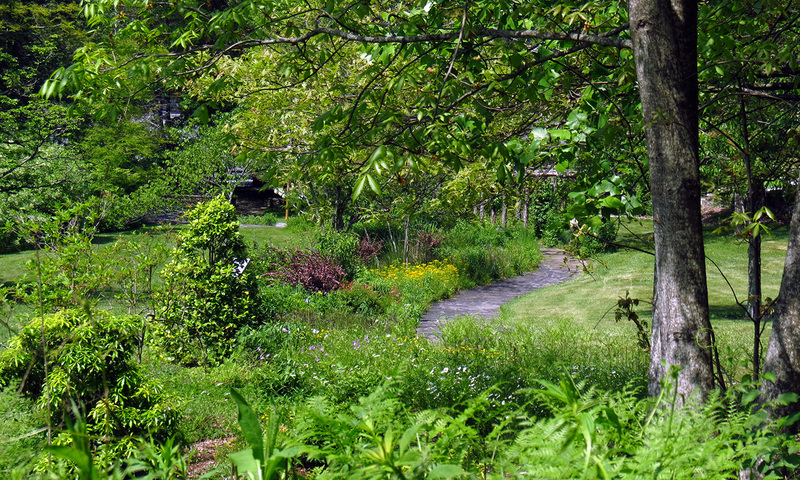 We received a grant from the B. W. Wells Stewardship Fund to match funds provided by the National Audubon Society's Coleman and Susan Burke Center for Native Plants to assist with the creation of a pilot native plant garden at Hardin Park Elementary School in Boone. The goals of this collaborative project are to educate the next generation about the importance of native landscaping and provide habitat for birds and pollinators. 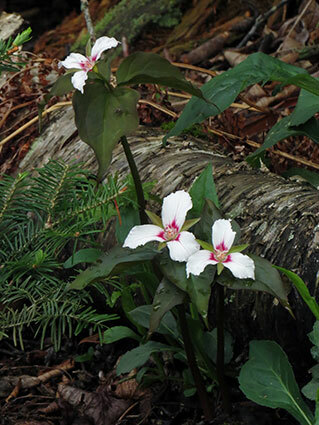 The school is planning a curriculum centered around native plants. The garden is in the process of being installed. Help is needed for caring for the plants through the summer until a garden club is established to take over permanent care. We have permission to rescue plants ahead of the Hardin Road paving work being done. Help is needed for digging plants along designated sections of Hardin Road, and then planting them at the Daniel Boone Native Gardens. You are welcome to take plants home - we ask that for every 2 plants you dig, you give one to the Gardens. 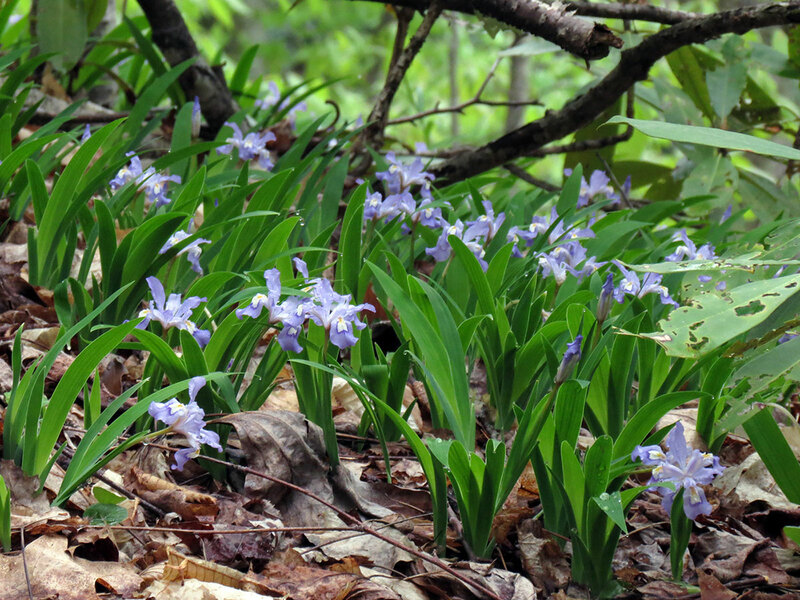 There are a lot of spring ephemerals to be rescued in that area. Please join our mailing list or get in touch with us if you would like to help out. We have had a change of leadership at the beginning of 2018. Mark Rose, who started the Blue Ridge Chapter in 2015, stepped down as chair, and Annkatrin Rose (no relation - just happen to have the same last name) took over. Mark will stay involved as our door prize coordinator. We would all like to thank him for bringing us together and getting the ball rolling in the Boone area! 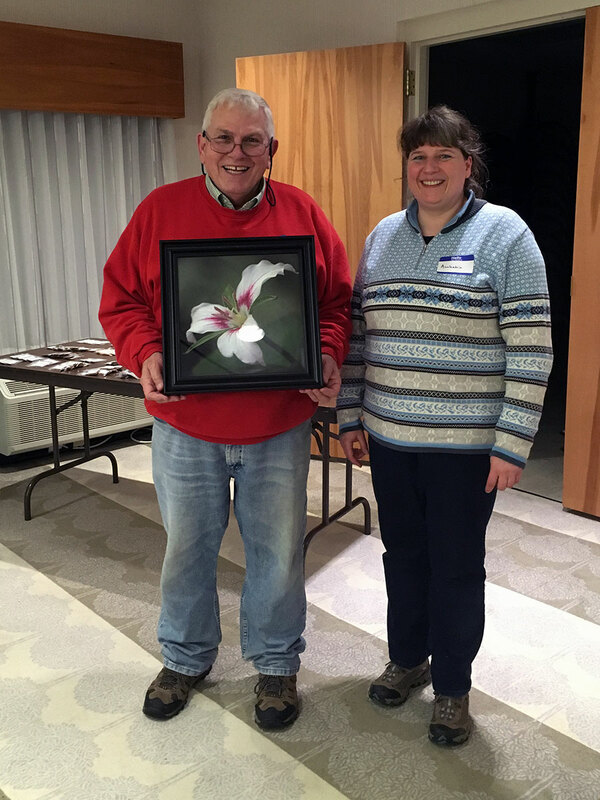 As a memento and expression of our appreciation, we presented him with a picture of a Painted Trillium taken by Annkatrin at the last Grandfather Mountain Nature Photography Weekend. Thanks Mark!